Drew said it was about 12:45 am by the time Jack and Jason got back to the Mirror Wall Studios from Disneyland. The plan for the day was seeing the San Francisco Giants play the Philadelphia Phillies at AT&T Park. Leaving Southern California after 11 am, they rolled back to the Bay Area. 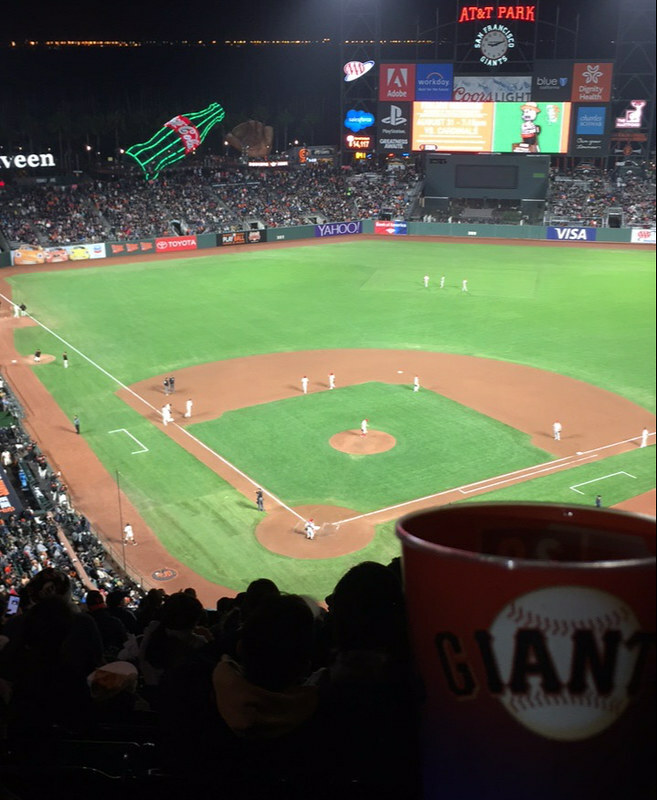 Jack and Jason saw the San Francisco Giants beat the Philadelphia Phillies by the score of 5 to 4. Jeff Samardzija struck out six over six innings to win for the fourth time in five starts. Buster Posey and Pence each hit RBI singles in the third to back Samardzija (8-12). Pence and Span scored moments apart on Jarrett Parker's two-run double in the fifth. Playing left field, Jesuit High School 2011 graduate Rhys Hoskins went 2 for 3 with a walk and a run scored for the Phillies. After the game, they headed back to Sacramento. Dropping Jason at home, it was after 1:00 am before he pulled up to the house.